Tiny was an Old English sheepdog belonging to President Franklin D. Roosevelt. Unfortunately, we don’t know much about Tiny. One website, OES.org, reports that Tiny, or “Tiny Tre,” had been given to the Roosevelts by a woman named Helen Roesler on April 30, 1933. Just a few months later, according to the website, Tiny was gifted to Adm. Cary Grayson, a friend of FDR’s and a physician, on Jan. 9, 1934. Pictured are Elliott Roosevelt and Blaze, his bullmastiff. Blaze Hero, or simply Blaze, was a 135-pound, floppy-eared English bullmastiff who belonged to President Franklin Roosevelt’s son, Elliott Roosevelt. In November 1944, Elliott, then 34, was a colonel in the U.S. military and was fighting overseas in Europe when he acquired Blaze. Because the war was no place for a dog, Blaze needed to be sent back to the United States. Elliott Roosevelt flew with Blaze back to Presque Isle, Maine, where he and the dog disembarked. A few days later, Blaze was flown to New York, and from there a Marine Corps pilot flew Blaze to Washington, D.C., where White House staff picked him up. From here, Blaze needed to travel to California, to Elliott’s wife, Faye. However, this leg of the journey caused some controversy. Anna Boettiger, Elliott’s sister, was in the White House at the time and took charge of getting Blaze to Hollywood, where Faye lived. Boettiger called Col. Ray Ireland of Air Transport Control. For some reason, Col. Ireland assigned Blaze an “A” rating, which essentially means he got top priority — even over other soldiers. At a stop in Memphis, Tennessee, cargo that had a “B” rating had to be added to the flight, which bumped three servicemen who had come home on emergency leave to see their families. Seaman First Class Leon LeRoy, 18, had an emergency leave and a No. 3 priority. He was on his way to Antioch, Calif., to comfort his recently widowed mother. At Memphis, Bluejacket LeRoy was told to get his gear off the plane: His No. 3 priority had been trumped by a No. 1; 300 pounds of critical material was coming aboard. A Seabee and an Army technical sergeant, both on their way to ailing wives, had to get off too. When Elliott Roosevelt was asked why his dog had received such priority, he seemed bewildered, stating that he had simply asked for the dog to be transported whenever there was a flight that had space available. One thing was for sure: America was heated about it. Angry calls and letters to newspapers and the White House abounded, and the “Bonehead Club” of Dallas even tried to airmail a St. Bernard to the White House. In fall 1945, after his father’s death, Elliott Roosevelt and his wife (and Blaze) moved to Hyde Park, New York, to be near his mother, Eleanor. Unfortunately, during a Thanksgiving weekend visit with Eleanor, Blaze attacked Fala, the Roosevelts’ famous Scottish terrier. Fala, being much smaller than Blaze, suffered serious wounds to his right eye and his back. Because Blaze had attacked Fala so suddenly and viciously, Elliott Roosevelt decided to euthanize him the next day, to prevent further attacks and out of fear that Blaze may have had rabies. The same doctor who treated Fala, Dr. Thomas Sheldon, euthanized Blaze on Sunday, Nov. 25, 1945. Tests for rabies came back negative. Major, an ex-police dog, at right, is pictured with Meggie, the Roosevelts’ first Scottish terrier in D.C. 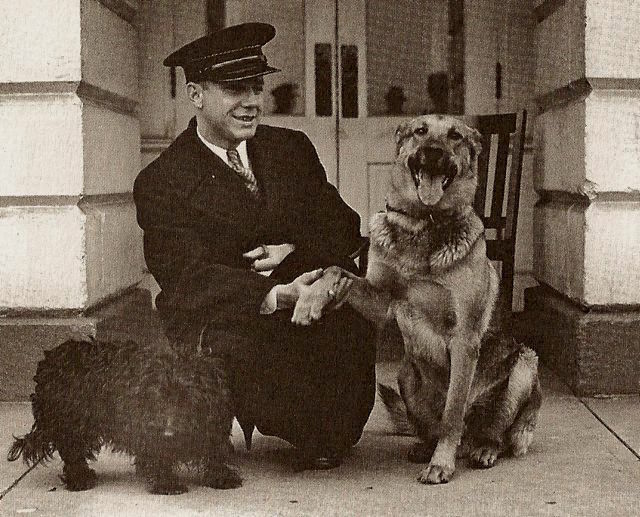 Although Fala, FDR’s famous Scottish terrier, charmed the public with his winning personality, our 32nd president had some other dogs that were not quite as open to all the attention that comes with being a First Dog. Major, President Roosevelt’s German shepherd (here’s a great photo), was known to chase White House maids to the point that they had to use their brooms and dust mops to keep him at bay. Major also took exception to the people who gathered around the White House property, hoping for a look at the First Family. Once, he nipped the hand of someone who stuck his hand through the fence in an effort to pet the dog. In a more high-profile incident, Major took a particular dislike to visiting British Prime Minister Ramsay MacDonald. On an official state visit to the White House in 1933 — the first such event of Roosevelt’s presidency — MacDonald must have done something to arouse Major’s protective instincts toward his famous human. According to Stanley Coren in his book The Pawprints of Human History: Dogs in the Course of Human Events, Major nearly ripped the seat off MacDonald’s pants. In what must have been an embarrassing situation for the president and his staff, Coren notes that a replacement pair of pants had to be found before the Prime Minter could modestly leave the White House. White House reporters did not miss the irony of a dog of German descent attacking the leader of Great Britain at a time when tensions between England and Germany were running high. As a result, Major was sent to live in the Roosevelt’s Hyde Park, New York, home. 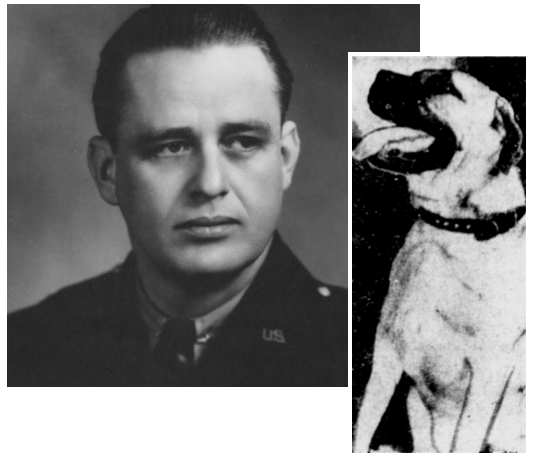 Major was a former police dog that had been donated by the New York State Police when FDR was a governor. Major — as well as the Roosevelts’ other dog at the time, Meggie — rode along with First Lady Eleanor Roosevelt on a six-hour car trip to the White House after FDR was first elected. Meggie stuck close to Eleanor Roosevelt. 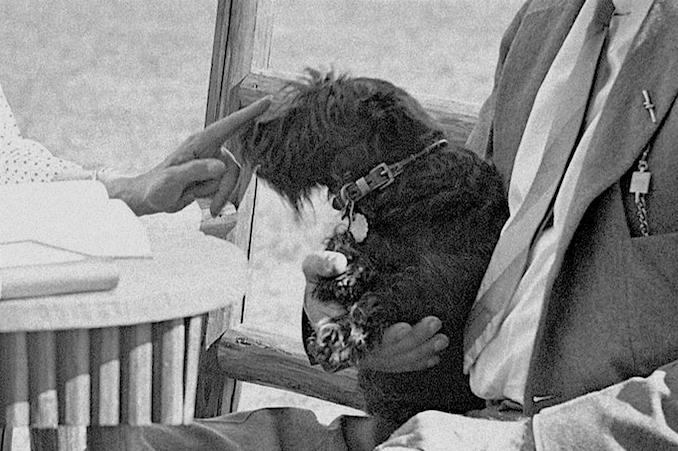 Before he had Fala, our nation’s best-known Scottish terrier, President Franklin Roosevelt had another Scottish terrier named Meggie. In fact, Meggie — along with the Roosevelts’ other dog at the time, Major, a German shepherd — rode along with First Lady Eleanor Roosevelt on a six-hour car trip to the White House after FDR was first elected. Meggie was 8 years old when she arrived at the White House. The Associated Press reported that she was “very fat,” hated baths, liked to sleep in fireplaces, and made a big stink any time Eleanor Roosevelt was around. Meggie was said to go everywhere with the First Lady, even press conferences — where she would bark to announce her presence. 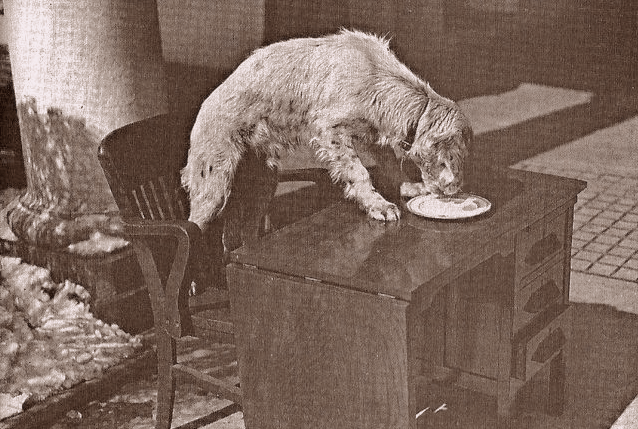 According to Stanley Coren in his book The Pawprints of History: Dogs and the Course of Human Events, Mrs. Roosevelt refused to let anyone discipline Meggie, and the dog pretty much was able to have full run of the White House living quarters. Meggie “terrorized the housemaids by chasing them down the halls and biting at their brooms, mops and dusters,” Coren writes. Even Major, a former police dog, “knows better than to pick a scrap with her,” the article continued. Meggie, left, and Major, a former police dog. Right on cue, Meggie gave the reporter a sharp bite on her nose! Several reports say Eleanor Roosevelt banished Meggie from the White House after the incident, sending the Scottie to stay with a family friend in late December 1933. “The president and Mrs. Roosevelt decided that they did not have the time to enjoy their pets in the White House,” says the Franklin D. Roosevelt Presidential Library and Museum. Then again, other pets would go on to join the First Family — including, of course, the famous Fala.